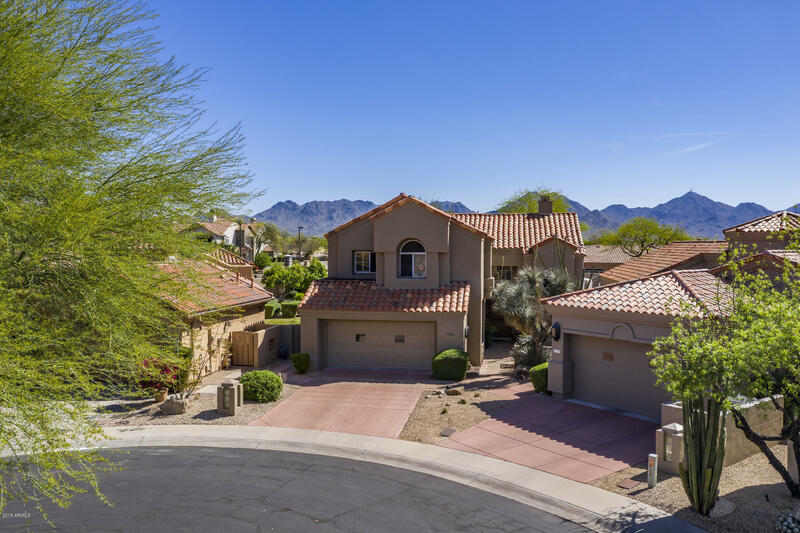 All Alcazar homes currently listed for sale in Scottsdale as of 04/24/2019 are shown below. You can change the search criteria at any time by pressing the 'Change Search' button below. "Welcome to the gated community of Alcazar, nestled between the Scottsdale TPC & Fairmont Princess Resort. From the moment you enter, you'll be impressed and realize that whether you're entertaining or simply relaxing, this isn't just a home...it's a destination! Loaded with picture perfect upgrades-flooring, master bath with jacuzzi tub, kitchen with gas range, sub-zero fridge, high-end appliances, granite counters & more! You'll enjoy Arizona living at it's finest with large covered patios, ple"